These lens are professionally crafted and guaranteed to fit authentic Oakley Fives Squared sunglasses. 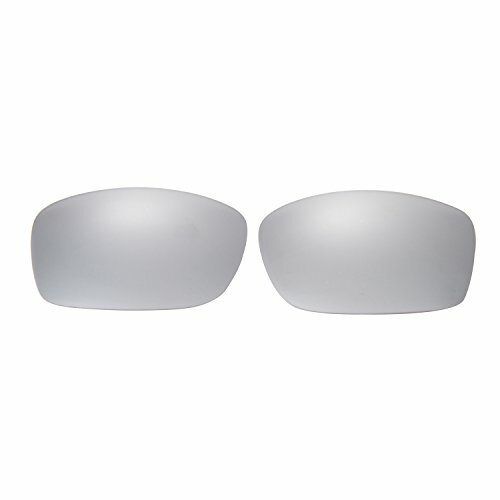 These feature: *Precisely cut to fit with authentic Oakley Sunglass frames. *Made of top quality HD polycarbonate to be extremely durable, light-weight, and scratch resistant. *100% Polarized with anti-Glare technology. *100% UV400 protection against UVA & UVB Rays *Meets and exceeds all current FDA Impact Resistant Safety Standards *Exceeds the European Safety Standard EN 1836:2005 *Exceeds ANSI Z80.3 Standards *One Year Warranty. *Fit authentic Oakley Fives Squared Sunglasses only. *Made of top quality HD polycarbonate to be extremely durable, light-weight, and scratch resistant. *100% Polarized with anti-Glare technology.